I agree that Landscape Gardeners South East London can use my details to contact me in regards to my enquiry and for future offers. Landscape Gardeners Southeast London is the company you should hire when you are in need of any landscaping and gardening assistance. We have been in this industry long enough to know how to address every single job. Perhaps you are lost in moving your new garden design project ahead. Or maybe you need a little help with regular gardening chores? It is not a problem for our company to assist you with any project from A to Z. We have perfectly trained personnel that will settle for nothing but the best outcome for you. Why would you ever stress over any gardening issue when Landscape Gardeners Southeast London can help you out with a single call on 020 3909 7647? A new garden can make quite a difference to your home in Southeast London. Not only will it boost the value, but also give you a great place to spend warm nights at and perhaps even invite guests in. However, this is only possible if you make sure the garden design is right. Our company can help make this a reality. We have accumulated great many years of experience working on different gardens. We know perfectly well how to approach a complicated project and see it to the end. Mind you, we work with our clients during every stage of the process; from initial planning to final execution of the finishing details. Contact us now on 020 3909 7647 and we will prove just what we can do for your amazing garden. What could be better than a well-maintained and beautiful garden in Southeast London? 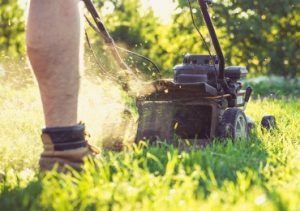 At Landscape Gardeners Southeast London we know that many people aspire to have such an area, but struggle with the job. That is why we have designed our gardening services to include everything you will ever need in that regard. 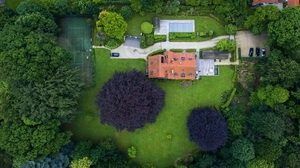 We provide excellent hedge trimming and pruning, lawn care, weeding and a ton of other services meant to keep the garden of your home in top shape. You need only give us a call on 020 3909 7647 and we will be at your door in no time at all! You will be thankful for the effort and time we spare you and want to have our service again and again! Our company is ready and waiting to be hired! Our company is readily available to assist you in any gardening challenge. We know just how difficult it can be to design or look after a garden in Southeast London. That is why we have the best gardeners at the ready at all times. You will not meet any difficulties contacting 020 3909 7647 and arranging a service for you. Our representatives will guide you through every step of the process and arrange all the fine details of the job. All it takes for you is to contact us and explain your requirements. Next thing you know, our gardeners will be on the case. Landscape Gardeners Southeast London can make your gardening dreams come true!